How can we sell a Membership and a Calendar (that we should charge Sales tax on) and let the user make a Donation all on the same Webform Civicrm page - in a way that only the Donation amount is eligible to receive a charitable tax receipt? As of last week you can now create Additional Line Items with webform civicrm module (which is a Drupal/CiviCRM integration module). Coleman and I are thankful to Wilderness Committee (Canada) for sponsoring this new feature! 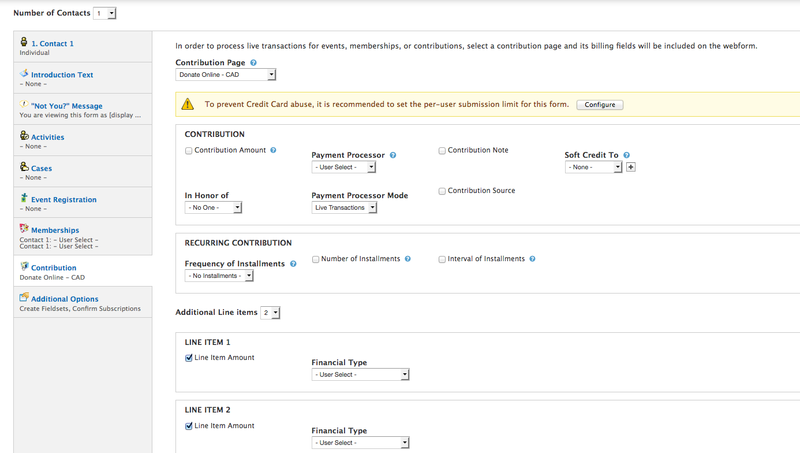 Configure the new fields -> We need to charge Sales Tax on the Calendar - while ensuring the Donation is of type Donation so that it becomes eligible for a Charitable Tax Receipt. 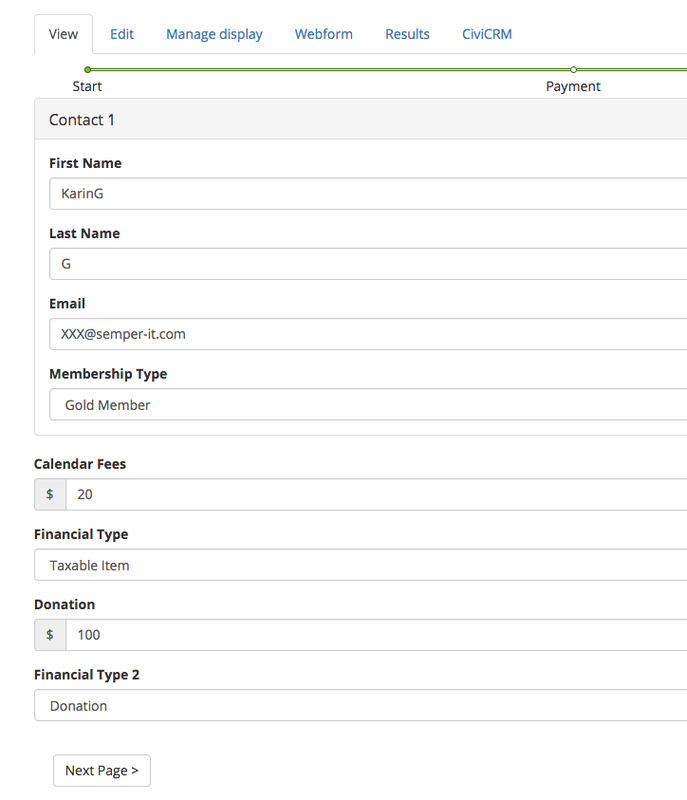 We have also configured the form such that the user can add a Membership (and be charged the proper amount for it). Not the answer you're looking for? Browse other questions tagged civicontribute webform-civicrm or ask your own question. Webform contribution for multiple items?